Seemetrix launches as a windowed app. No connection – statistics is not being sent to the server. Please, check the Internet connection of the device and note that Seemetrix requires following ports to be opened for outbound connections: 1488, 20002. Device is frozen – device is frozen, Seemetrix operation is paused from Seemetrix personal account, statistics is not being gathered, there is no camera image. While Device is frozen the changing of settings, getting screen shots and application restart are blocked. To restore Seemetrix operation unfreeze device by clicking in your personal account. Device field shows the name that was given to a device while registering it in the personal account. Version shows the application version number. Camera type – the type of connected camera, it has Java 0 as a default. 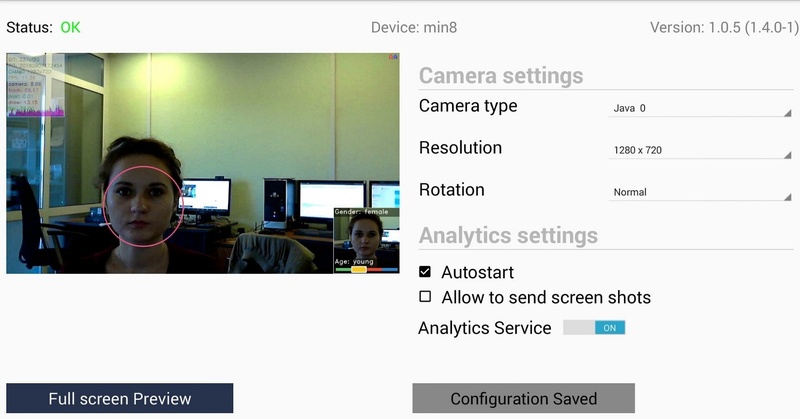 If your device supports several cameras (phone / tablet etc.) then you will be able to choose the needed camera from the list (Java 0/ Java 1). Resolution – camera resolution (depends on camera type). Higher resolution results in better detection quality but also leads to higher resources consumption. Rotation – camera rotation. If the camera of your device was rotated or flanked then there won’t be any detection until you set up the values in concordance with current camera location in Rotation field. Autostart – automatically starts the app when the device is on. Allow to send screen shots – It allows you to get images from a device camera. In order to control the camera position you can request an image from the camera in your personal account. Please note that these images constitute private information and we recommend you not to save them without a special permission. If you accept these terms then press “ACCEPT” in a dialog box and then press “Apply”. 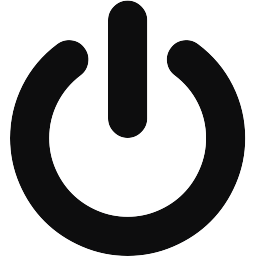 Analytics Service – set the switch to off position and Seemetrix will stop working, status will be changed to Analytics switched off. change the settings and press Apply.